Try These Home Facials To Give Your Skin Fairer Tone. home facial – Now get a fairer and toned skin at home. It is something every woman wishes to have. A lovely bright, radiating, face. However, the constant exposure to pollution and sun, the busy schedules, and expensive solutions leave us with very few good options. What if you could have that desired glowing face within a short time. Also without having to visit expensive salons. Plus if its summer time you should try summer skin care tips. Try these easy to prepare and less time consuming at home facial options now. Honey exfoliates, moisturizes and rejuvenates skin. It is nature’s elixir to soothe all skin ailments. While raw milk is a perfect natural skin cleanser, It also lightens complexion. When mixed these two make a great home facial pack for the skin. Improving not only appearance but also soothing dry skin and removing acne and pimples. To make this pack mix one tablespoon each of honey and raw milk. Wash face before applying. Massage for two minutes, and leave on for 15-20 minutes before washing with water. At home facials are organic and easy to make. Well, oats are good for health we all know that. However, they are excellent for the skin as well. Oats whiten skin by removing pigmentation, suntan, and age spots. Yogurt, on the other hand, contains acids that moisturize and exfoliate skin. To prepare this home facial mask, first, take a glass bowl and whisk two tablespoons yogurt in it and later add a tablespoon of oatmeal. Massage for five minutes on the face, neck and arms. Let it rest for twenty more minutes before washing it off with water. Bananas are rich in vitamin C, this lightens skin tone, while maintaining suppleness and skin elasticity. Almond oil a rich source of vitamins A, D, E and antioxidants enhances skin naturally and efficiently. This home facial mask of banana and almond oil moisturizes, protects from UV radiation, improves the circulation of blood, while soothing and lightening skin color. For this home facial mash a ripe banana finely and add a teaspoon of almond oil to it. Use the paste to apply onto your face and leave untouched for 20 minutes. Wash clean with water and feel the goodness. Turmeric is widely used in India not only in the kitchens. Also as “Haldi paste” for the beautification of brides and grooms on the wedding day. It’s antiseptic qualities are hidden from none. A natural remedy for removing dead cells, impurities, healing and nourishing rough dry skin. Gram flour is the secret from grandmother’s remedies. It boosts skin fairness, lessens suntan and dark circles and makes it glowing and radiant. Mix a teaspoon of turmeric paste with a tablespoon of gram flour and milk each for this at home facial. Make a smooth paste to apply on face and arms. Leave for 15 minutes before you use water to wash it off. Tomatoes have natural astringent properties perfect for closing those open pores and getting free of oily skin. When used in a home facial it has an antioxidant lycopene which whitens skin, soothes and screens skin against sunburn. Cucumber naturally reduces pigmentation, cellulite and removes blackheads and cuts too. Use one small tomato and half a cucumber, mash the tomato and mix well with the grated cucumber to make a paste. Apply this paste for twenty minutes to your face before washing it off to get the clear bright skin. The peel of an orange is abundant in vitamin C. It not only oxidises skin but also counteracts skin damage. Also removes blemishes and bleaches skin. Sandalwood on the other hand smoothes skin exfoliates and brightens it. Sandalwood is being used in Ayurveda since ancient times to improve and cure skin ailments. When making this home, facial mask take a tablespoon each of orange peel powder and sandalwood powder. Use a little water to create a smooth paste in a bowl. Massage clean face with the paste for five minutes leaving it on for another fifteen. Wash off with water for glowing skin. The papaya honey mask rejuvenates skin while moisturising it. It is a natural sunscreen rich in antioxidants which reduce suntan. It rids the skin of dark spots, blackheads, tan, wrinkles, pores and pigmentation. The best home facial remedy for acquiring youthful radiant skin. Mash half a cup of ripe papaya making a smooth, thick paste. To this add a teaspoon of honey. Evenly apply on face for twenty minutes and then use water to wash it off. Enjoy beautifully and smooth fair skin. To get clear fair and radiating skin try using these at home facial remedies. Always keep in mind a few things. Firstly, always exfoliate when using face packs to get rid of dirt and the top layer of dead skin cells. Secondly, moisturise for youthful skin. Do not leave skin exposed to air after washing and drying. 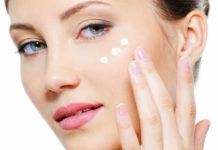 Moisturizers keep skin soft and supple, slowing ageing. Third, stay out of the sun. Exposure to heat and the sun damages skin, tans and increases exposure to UV rays risking skin cancer. Always use sunscreen when out in the daytime. And lastly, try and avoid the use of chemicals like bleach on your skin. It may be effective but also harmful for your skin. Natural ingredients are the best for skin. With no harmful side effects and long term benefits.